The concept of creative industries has developed considerable academic and policy momentum in the 21st century. There has been a connection identified between the rise of creative industries and the urbanisation of the world’s population, particularly in relation to the significance of cities as sites of cultural production and consumption. Much of the work on creative industries and cities, however, has drawn upon 'imagined geographies' about the relationship between creativity and place. This collection draws together contributions that critically appraise recent urban cultural policy discourses, as well as reflecting on the role of culture and creative industries in the future development of cities. This book is based on a special issue of The Information Society: An International Journal. Terry Flew is Professor of Media and Communications at the Queensland University of Technology, Australia. He is the author of The Creative Industries: Culture and Policy (2012), New Media: An Introduction (2008) and Understanding Global Media (2007), and is a leading international figure in creative industries research. 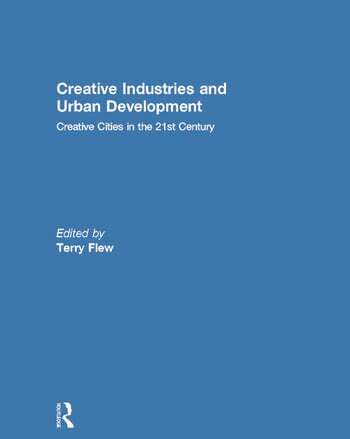 From 2008-2010 he led an Austrlaian Research Council project into creative industries and suburban development. During 2011-2012, he headed a review of media classification for the Australian Federal government.